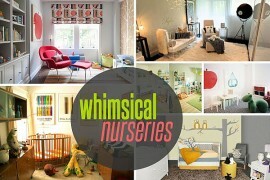 Baby nurseries have to be one of the most enjoyable and inspiring rooms to create and decorate. 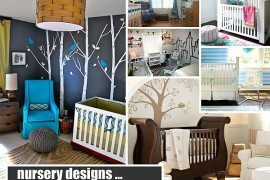 There is no limit to your creativity and the celebration of a new life in a new nursery is enough to bring out a unique design style in any proud parents. The traditional pink and blue color in nurseries has started to fade and introducing hip colors, fun patterns, and retro modern furniture is the new trend in baby nurseries. If you’re trying to plan for a new one on the way, or you want to makeover the existing nursery, here are ideas to help with a retro interiors vibe! Let’s face it, aren’t baby nurseries really for the parents? While your new child will sleep and play in the room, the decor, functionality and organization is all for the adults, so make it wonderful to escape to. Retro furniture has made a huge comeback in recent years and cribs, seating, and decorative accessories are all nods to throwback styles. Furniture that is reminiscent of the 1950’s and 1960’s with wide backed chairs and matching ottomans are comfortable and enable you a place to relax in your baby’s room. Add in colorful dressers and changing tables painted in retro paint colors such as aqua, orange, gold, and honeydew green are popular nursery tones. During the last twenty years it seems the trend for large and bold patterns have gone up and down. With the recent onset of bringing retro patterns such as chevrons, polka dots, and large graphic prints back to bedding, textiles, window treatments and fabric coverings, there is definitely an up rise of these gorgeous patterns. Retro patterns that were popular in the 1960’s & 1970’s with psychedelic colors and pops of “wow” patterns can be toned down in children’s room – but still possess the same whimsical nature. 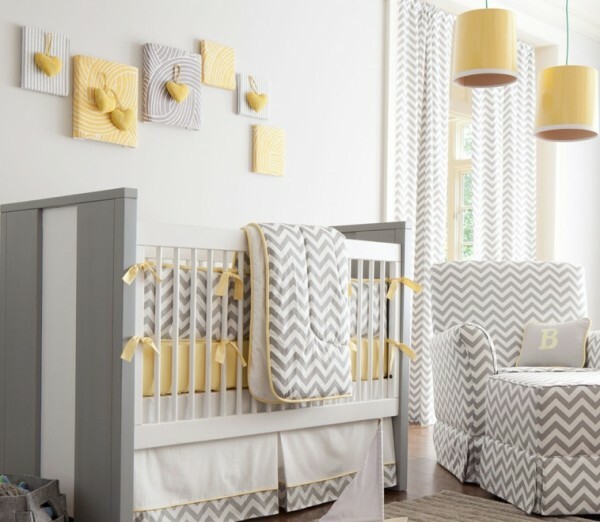 Opt for more muted tones when choosing bold patterns, and don’t be afraid to mix and match large patterns with smaller patterns and solid colors for a layered and textured appeal to your baby’s nursery. Have you found a retro graphic print that you want to frame for the nursery, or have fallen in love with a beautiful table lamp that is retro in styling? Nurseries are a great place to display wall art, coordinating lampshades and even matching pendant drum lights make a great focal point for your child’s room. If you are feeling adventurous – how about hand painting a mural or use wall decals in retro colors, graphics, and styles. 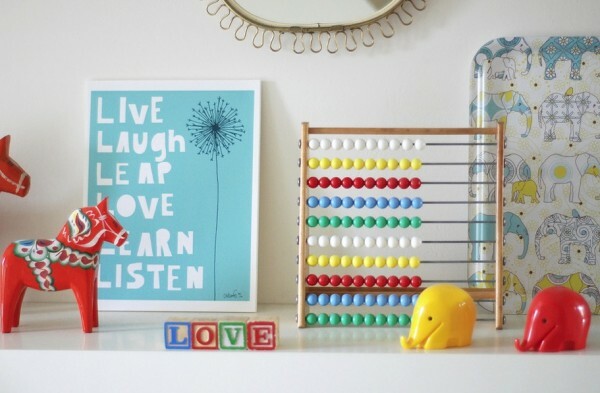 Accessorizing the nursery with vintage finds like toys, and even heirloom keepsakes handed down from generations look beautiful in shadow boxes hung on the wall. 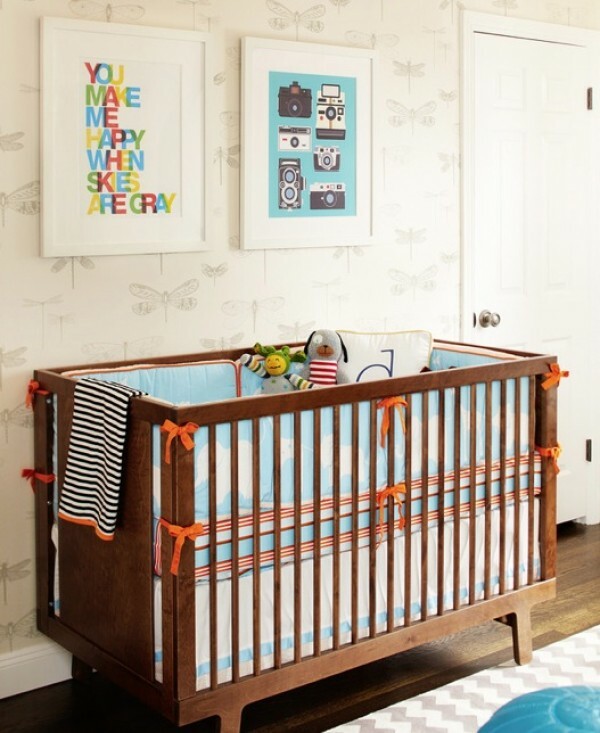 Your baby’s room can combine new and old beautifully in their retro styled nursery. If you are in the planning stages of your little one’s room or you want to update their current room with color, patterns and vintage style, consider using these retro ideas. 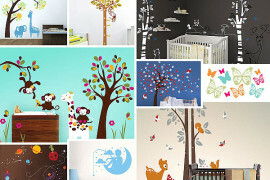 What is the easiest way to decide what to outfit your baby’s room with? Pick a theme and go for it. 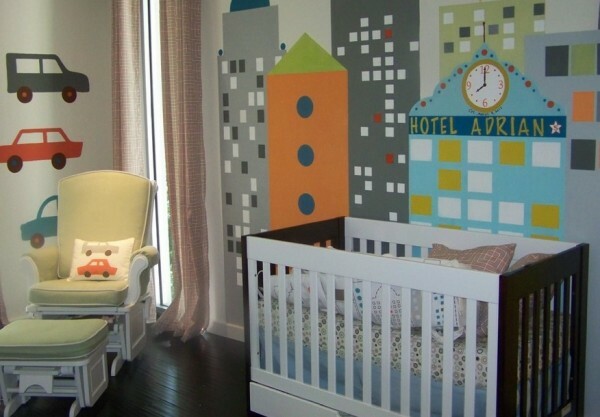 Whichever retro style you choose, remember your baby is young for only a few years make it the best room ever!